Dr. Thoma is an assistant professor at the London School of Economics’ Department of Philosophy, Logic, and Scientific Method. We’re delighted to announce that Johanna Thoma (PhD, 2017) has been selected as the winner of the 2017 David Savan Dissertation Prize for her dissertation Advice for the Steady: Decision Theory and the Requirements of Instrumental Rationality, supervised by Professor Sergio Tenenbaum. Dr. Thoma’s dissertation was also the recipient of a Governor General’s Gold Medal last year, awarded to exceptional graduate students across Canada who have attained the highest academic standing at the graduate level. Upon completing her doctoral studies, Dr. Thoma moved to the United Kingdom to join the London School of Economics’ Department of Philosophy, Logic and Scientific Method as an assistant professor, where she continues her work in decision theory. Learn more about Dr. Thoma in an interview with U of T News. 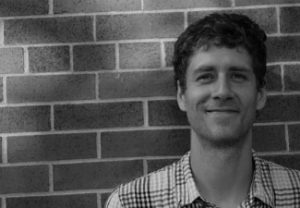 Adam Murray is now assistant professor at the University of Manitoba’s Department of Philosophy. Honourable mention in the Savan Prize competition was awarded to Adam Murray (PhD, 2017) for his dissertation, Perspectives on Modal Metaphysics. Dr. Murray was a Lecturer here in our department until recently, when he joined the University of Manitoba’s Department of Philosophy as an assistant professor. David Savan taught philosophy at U of T from 1943 to 1981, where he was a respected semiotician and Charles Sanders Peirce scholar, as well as a dedicated teacher who inspired generations of students. The David Savan Prize is awarded annually in recognition “of the excellence of a doctoral thesis in philosophy submitted and successfully defended by a student in the Graduate Department during the last calendar year,” and carries a cash prize of $1000. Professors David Barnett and Michael Caie, together with the Director of Graduate Studies, Gurpreet Rattan, made up this year’s selection committee. Congratulations Dr. Thoma and Dr. Murray!